The 700W Pure Sine Wave Inverter produces a pure sine wave output, required for powering 240 volt equipment while on the road. The 700W Pure Sine Wave inverter (SK model) makes it possible to get 240 volt power whilst on the road by drawing power from a 12 volt battery. Using a Pure Sine Wave output, the 700W inverter will ensure appliances run smoothly and efficiently, producing less heat and noise. Run devices such as a TV with a 700W Pure Sine Wave Inverter. 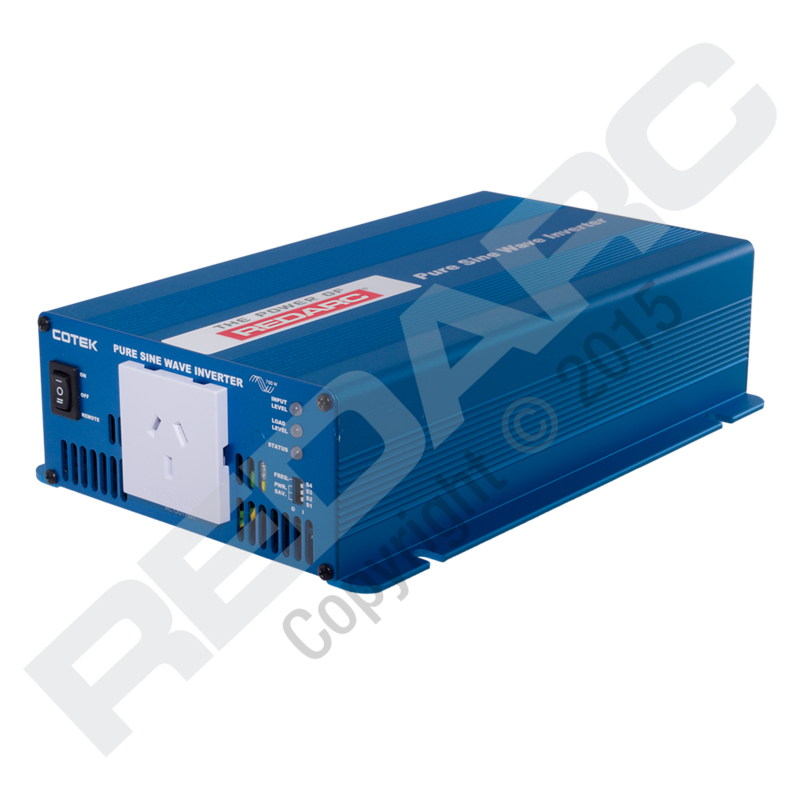 The 700W inverter features multiple levels of protection, including overload, short circuit and over-temperature. With the 700W inverter you can take all the comforts of home whilst you travel, without fear of damaging your appliances. Multiple levels of protection; overload, short circuit and over temperature and load-controlled cooling fan.